After years of civil wars, huge economic challenges and the impact of structural adjustments, many West African countries are in desperate need of development strategies that could transform their economies. West African nations are therefore looking primarily at the role regional integration and cooperation can play in revitalizing and redirecting the development process. 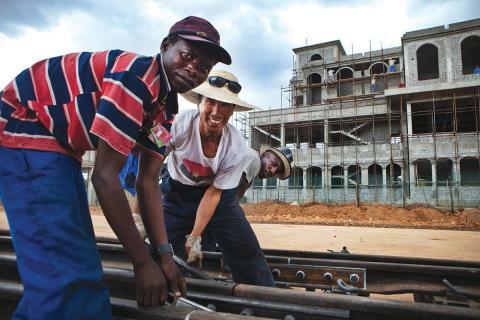 Africa has the potential to achieve fast and sustainable economic growth. For instance, within the framework of the Mano River Union – Guinea, Liberia and Sierra Leone can respectively accelerate their economic development, through an effective management of their natural resources, gas and petroleum reserves. But given the synergies that exist among those three neighboring nations, a collective approach to development is necessary and would be advantageous. 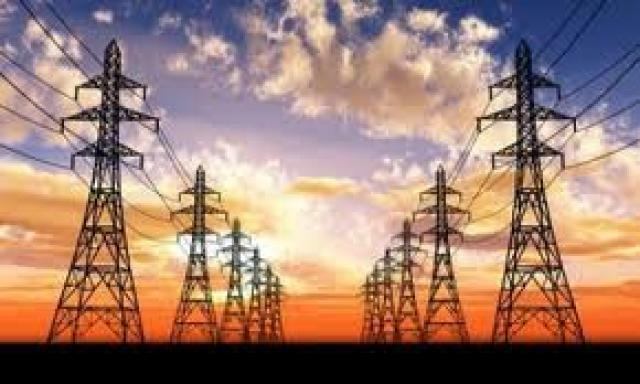 An integrated and co-ordinated development strategy for the three countries should be formulated, focusing especially on large scale infrastructure programmes, such as energy, roads, railways and sea ports. Such a development approach could also have a positive impact on the entire West African region. 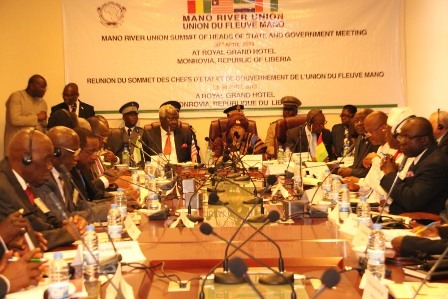 Three of the four MRU Embassies in the People’s Republic of China – Guinea, Liberia and Sierra Leone, have been working on the realization of a sub-regional development project, with respect to forming an economic free zone, known as the Makona River Free Zone Development Project. This is in line with the thriving historical cross-border transnational market trading between the communities of Guekedou in Guinea, Koindu in Sierra Leone and Foya in Liberia. The scale and magnitude of financial resources and industrial capacity needed for producing the expected results and outcomes for such a project, places China as the most appropriate partner for implementation of an Enterprise Free Zone in the Makona River. Sino-Africa relations have in the last decade, given a vibrant new roadmap for cooperation and collaboration between China and African nations. The Forum On China-Africa Relations (FOCAC) Beijing Action Plan (2013-2015) speaks of China’s will to continue in supporting the development of overseas business cooperation zones established in Africa. China has got the investment and technical capability, as well as its huge industrial capacity to absorb West Africa’s natural and mineral resources. The Makona River Free Zone (MRFZ) is being designed to operate in an area spanning Sierra Leone, Liberia and Guinea. The project would include construction of harbor, railway and energy related infrastructure. It would promote the utilization and development of the nations’ natural resources, especially mining, forestry, agriculture and fishing. Through the MRFZ cooperation, the three countries will work together to build and promote local production, West African economic integration, cross boundary investments, and promote regional social and economic prosperity. In particular, the Foya, Koindu and Guekedou Free Zone will focus on land development, industrial facilities for rubber processing in Liberia, urban infrastructure facilities, social services institutions, and hydro power stations. The Sulima Sea Port and railway project will enable the three countries to develop their natural resources. A railway track will be built along Foya, Koindu and Guekedou, across to Siguiri and Voinjama. This would support the development of an industrial park in the Siguiri area. A Free Zone Development Project in the Makona River will contribute immensely in addressing the challenge of converting the natural resource advantage of the three countries into a development advantage. It is hoped that this initiative will create a multiplier effect in the mining and other related infrastructure sectors; accelerate urbanization, manufacturing and commercialization of the respective economies; improve infrastructure facilities which will expand the pace of development and production of mineral resources. It will strengthen cooperation between the three countries; facilitate easy and competitive relocation of Chinese industries into this trade and investment hub, as well as provide a strategic hub for China’s exports to Europe, Middle East and South America. 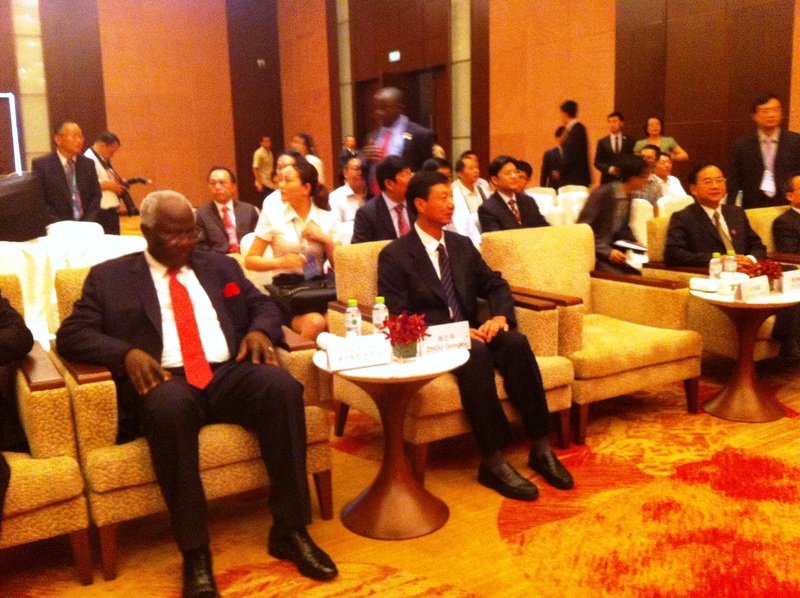 In 2012, president Ernest Bai Koroma of Sierra Leone said that “this project will give practical effect to Mano River Union cooperation” as his Government has been thinking of reactivating the long existing activities within the Makona area, such as the Koindu International Trading Centre. The Embassies of Guinea, Liberia and Sierra Leone in the People’s Republic of China have been holding discussions with Blue Seafront (BSF) Group, a China based conglomerate with a strong focus on project development and financing. The idea of working on the Makona Free Zone Project is timely, given China’s desire to support sub-regional development projects in line with the FOCAC Beijing Action Plan 2013-2015. It is worth noting that dozens of projects have been forwarded to China’s Export-Import Bank (EXIM-BANK) by several sub-regional groups for funding. Therefore, the need to speedily work towards the realization of the Makona Free Zone Project must be emphasized, so as to promote the economic development of the Makona River area, bringing much needed prosperity to the respective nations.